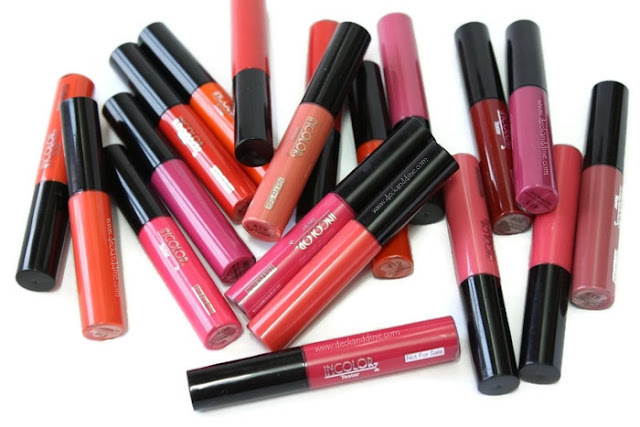 Lip creams are in vogue and Incolor matte me lip creams are totally in fad right now. These weightless liquid colours with velvety matte finish are incredibly pigmented and stay up to 8 hours. At this price, these lip creams are totally worth every penny. Well, as I said there are actually many gorgeous shades to suit your taste and your ever-changing need and mood (Checkout the swatches of all 19 shades HERE), but today I have listed my 10 favorite colors from the range. Trust me; it is very hard to choose something from everything so alluring. 411:- True purple which looks a tad pinkish when photographed. 414:- Muted cyber pink color. 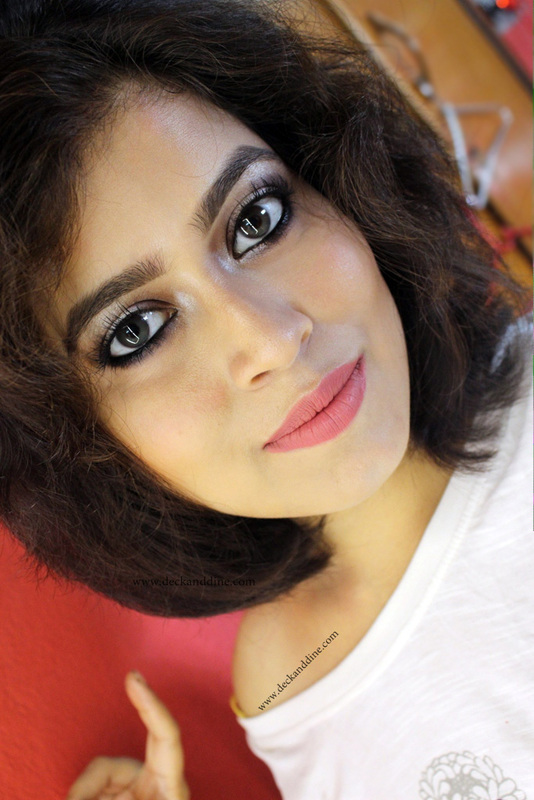 Talking about the texture, it is creamy, glides easily and settles in a matte finish in no time. You have to work super fast as it dries in a jiffy into a super duper matte finish, otherwise you’ll end up with patches. Super long-lasting and highly pigmented so you don’t have to worry about constant re-application. Some of them, especially the lighter ones tend to go patchy, be careful when applying. Also as the lip colors settle in intensely matte finish, lip prepping prior to application is unavoidable. Want to know where to find them in India? Both offline and online? Then Click HERE. Let me know which one do you like most.